Buck, referring to Buck Brannaman, is all About The Original Horse Whisperer. Gentle, calm and kind, Buck Brannaman can, it seems, tame any horse, and the creatures who ride them. 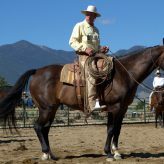 The cowboy who is known as the ‘original horse whisperer,’ travels around the USA to various ranches, giving horse owners workshops about how to handle their steeds, especially those that have a will of their own and insist upon expressing it. Filmmaker Stephanie Wang Breal’s latest documentary, Blowin’Up, takes us into New York City’s Human Trafficking Intervention Court in Queens, where Judge Toko Serita has presided over cases against young prostitutes since the pilot court program began in 2004. The trafficking of children is a worldwide crime, but Very Young Girls, directed by David Schisgall, Nina Alvarez and Priya Swaminathan, brings the story home by following several New York City tween and teenage girls who’ve become prostitutes, and who are trying to cope with the consequences and redirect their lives. 3 Faces is particularly engaging in the expositive way it reveals how women of all ages. various ettnic groups and different social classes cope with the same hardships and dehumanization they all must endure in Iran under the country’s male-dominated culture. 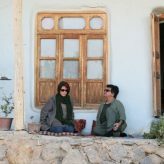 Director Jafar Panahi, obviously in sympathy with the oppressed, captures all the troubling nuances of the women’s daily life and the subtle support they give to each other. 3 Faces isn’t playing in Iran, but it is touring the world. You should see it. 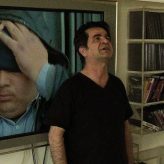 Jafar Panahi Panahi shot This Is Not A Film in his Tehran apartment, while he was under house arrest. Although he could be put back in jail at any time, he defied his sentence by making This Is Not A Film, using digital cameras, including an iPhone, to document his daily life. 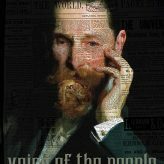 If you see the study of history as a route to informed interpretation of the present, Oren Rudavsky’s Joseph Pulitzer: Voice of the People is essential and timely viewing. 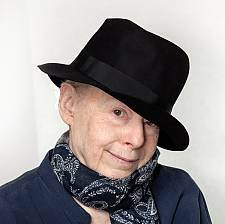 The film is an investigative biopic about the legendary publisher who changed the face and flow of modern journalism, and rewrote the rule book on using newspapers — the prime media outlet during his life time — to influence the political, social and economic milieu at the heart of the American Dream. Most people know Pulitzer primarily for the coveted journalism award presented in his name, but this fascinating and powerful American influencer has an extraordinary life story and the release of this thoroughly researched documentary is timely indeed. In The Business of Being Born, director Abby Epstein and producer Ricki Lake focus our attention on the issue of childbearing practices in the United States in much the same way Michael Moore highlighted the American health care system in Sicko. Both Epstein and Lake play dramatic roles in investigating the way in which the medical establishment deals with birthing and showing midwifery as a viable alternative for women who wish to avoid invasive procedures. 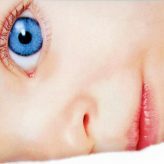 This is a subject of interest and concern to us all–whether or not childbearing happens to be on our personal agenda. The Trump administration’s determination to define gender as a biological, immutable condition determined by genitalia at birth, would eradicate federal recognition and civil rights protections of approximately 1.4 million transgender Americans. 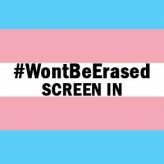 In response and as a counter measure, Women Make Movies has initiated the #WontBeErased Screen In, an online streaming program of enlightening LGBTQ films, curated to honor and celelbrate our trans, intersex and gender non-conforming family, friends and colleagues. This collection, essential for fostering the work of diversity, inclusion and tolerance, is streaming for free for two weeks, beginning today. The official announcement of nonfiction nominees for the Third Annual Critics Choice Documentary Awards (CCDA) kicks off this year’s race for nonfic recognition, and what a race it is. 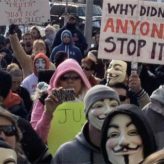 Throughout the year, documentary production and distribution have soared, making 2018 the year of trending nonfiction. The goal is to provoke thoughtful consideration of and discussion about contemporary issues that are reflected in film — by taking note of how they are reflected in film. Cinemas and other screening venues are classrooms in which massive numbers of people absorb stories that reflect the world in which we live and that influence the shape things to come. Join Cinema Citizen in focusing on the social and ethical issues raised in these cinema classrooms. Be concerned! Be brave! Be active! Please note that Cinema Citizen and all of its contents are protected by Copyright, and use of any aspect of the blog requires written permission. Contact awfjinc@gmail with any questions.